When I initially set out to try this task, I set a goal of three minutes, which I then stretched to five thinking it would be impossible and keep me motivated. Well, sometimes perseverance pays off. I reached five minutes this past week. I could give it an asterisk for difficulty, but I won’t because I was fully suspended for the entire time, and had made incredible progress until then. After starting the challenge on New Year’s Day with a measly 63 seconds, I had gradually improved and achieved a high plank time of three minutes within about a week. We then shifted to the second week and a tougher level. This plank had us alternating low and high planks, sort of like doing a half push-up every 5-10 seconds. I was dreading this, as my upper arm strength isn’t there for a large number push-ups, but I was surprised to find this challenge manageable. It was not easy, to say the least. One of the advantages is that you get to change positions. Even though transitions can be tough, the high planks were less punishing than the low planks. It also helped with the mental difficulty. Usually I do not watch the clock, but for these planks, I had to, and I began to think in the number of transitions. “I can handle one more cycle,” I would think, and that would be another 20 seconds. The cycles helped time pass faster. I was regularly above three minutes as we neared the end of the week’s challenge. 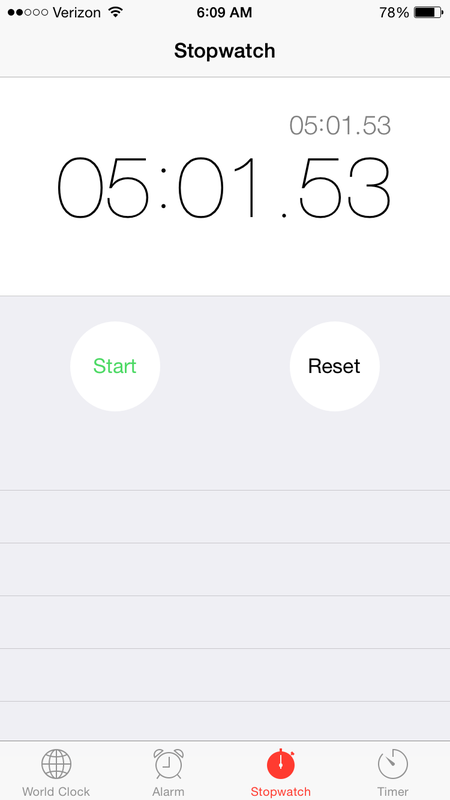 My penultimate level two plank was four minutes, which I felt great about. With one more of these remaining and the dreaded level three around the corner, I aimed to meet my goal at last. I had five minutes on my mind for that last plank. I played an upbeat, long song, and got to work. The last minute was a grind, and I was careful not to lose form. I shook and grunted, but managed to achieve the five minute mark. There’s always adversity in life, and I found mine with level three. This plank is one legged. We start at regular plank position and alternate raising legs six inches off the ground. I worried this might interact with my recovering injury, and I was right. The first plank happened to be on a freezing cold morning, which is when the injury is at its most painful. It was no problem when I was raising my right leg, as the pressure and balance was on my left, uninjured side. The first time I attempted lifting my left leg, I felt a twinge of pain. Hmmm. This might not be good, but at least to start, it was manageable. I’m used to enduring a little bit of pain as I progress through my recovery. I went through another cycle, and the pain was more pronounced. The problem was that when I had my left leg up, most of the pressure and balance was pushing inwards towards my core. My hip joint was absorbing most of it. There was a feeling of it being pushed from both sides. After a couple more cycles, it was continuing to hurt. I ended up stopping at 1:30, my weakest time since close to the beginning. On top of that, my hip felt off and the pain stuck with me the remainder of that day and the next. This type of plank was not going to work for me. With the weather warming up and doing modified planks, the hip is feeling better again, but I have to find ways to challenge myself. For stage three, I’ve decided to come up with challenging, modified planks. This list is a great place to start. For my modifications, I have done some brutal planks. One day I did an alternating forearm plank, which is pretty much the same as what the group is doing, only I lift my arms instead of my legs It puts more pressure on my arms and shoulders, while still working out my core and relieving my hip. I managed over two minutes and literally collapsed when I was finished. Tough plank. Another modified plank was absolutely brutal, and required a little bit of trial and error just to get myself off the ground. 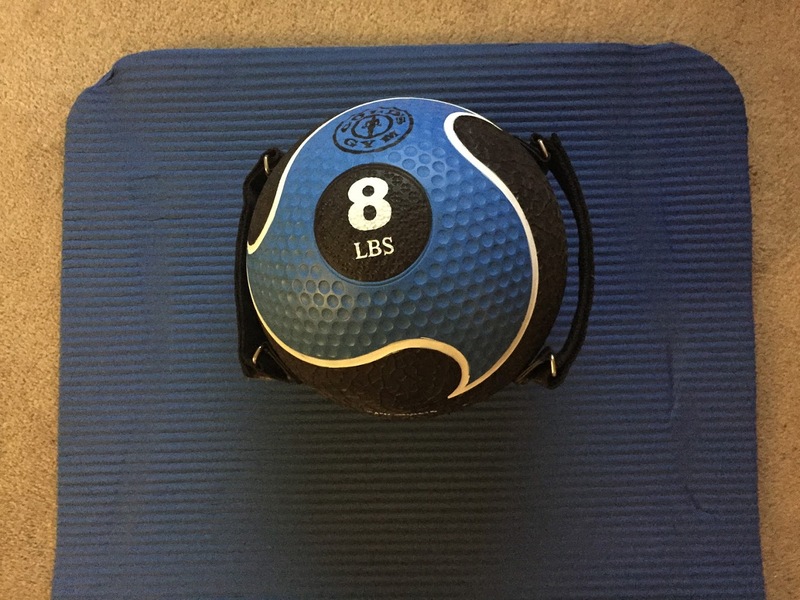 I used the above medicine ball, and eventually ended up pushing off with my wrists into a high plank position. Even though high planks are usually easier, they were much, much harder this way because balance was a factor. I managed no more than a minute each, but tried it a couple times in order to get a good workout. The remainder of this week will be about continuing to challenge myself but staying committed. Now that I have reached my time goal, the most important part is completing a worthwhile plank every day and accomplishing the challenge. This entry was posted on Sunday, January 18th, 2015 at 10:20 am	and posted in Training. You can follow any responses to this entry through the RSS 2.0 feed.